I started temping for an agency in Calgary and was doing well, working full-time for a company. One day, I was asked to provide a criminal background check and I had to tell them about my criminal history. I lost my job. I was back on the streets, living on an abandoned bus and an addict again. One day, I went back to the bus and it was gone with all my stuff. My home was gone and I ended up on the mats at the Alpha House. Someone from their housing team connected me with the Calgary John Howard Society, as I had signed up for their housing program shortly after I left the penitentiary and within two weeks I moved in to a place. I then went to CUPS and they got me in the methadone program. 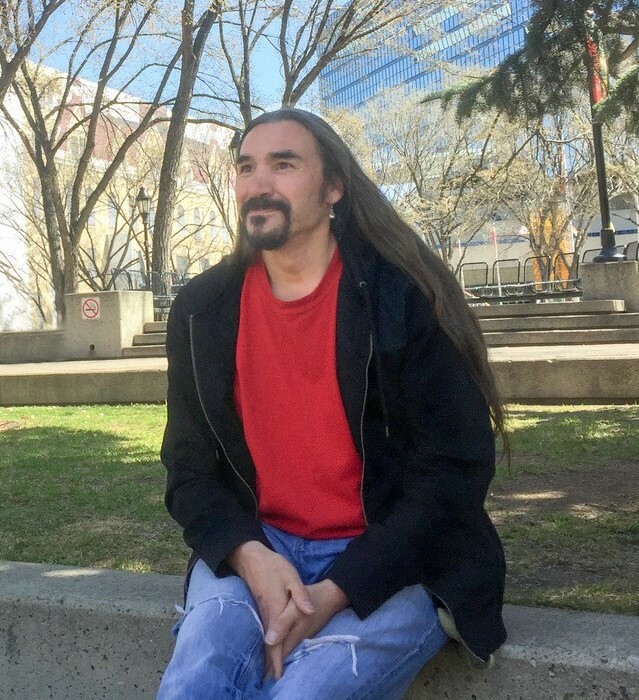 I have to think back on the core thing that was consistent throughout the ups and downs and it was my participation and connection to the great spirit. Shortly after I became a member of the Grateful or Dead peer support group and began to volunteer as an Outreach Worker, working out of the Chumir Clinic. 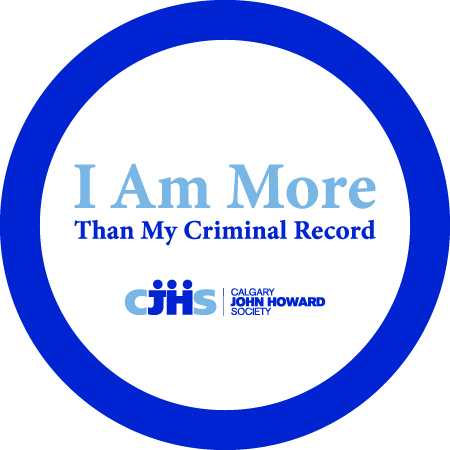 They asked me to provide a criminal background check before I could volunteer, when I didn’t pass I was told that they could not use me. But a lady by the name of Diane that worked there said, ‘you are not doing this to this man, we are going to give him a chance’. Now, I’m a Support Worker at Alpha House and I’ve been housed for almost four-and-a-half years. I just think about my own recovery process and the challenges I faced. I bring people to meetings to connect them with others. I can laugh and joke with clients and have very real conversations. When I was making those prayers in jail it changed something intrinsically within me – now I really have that deep desire to help other people. But I didn’t do this alone.